Visitors to the Museum are often surprised to see our aircraft being moved around by our volunteer engineering team. Repeat visitors always notice that the aircraft are never quite in the same place that they were the last time they visited….. We’ve written before about how you can never be sure what you might see when you visit the Museum. With an aircraft collection numbering in excess of forty aeroplanes, some of which emit quite a jet blast when they are running, it is a constant process of moving the aircraft to where they need to be for restoration work, ground running or protection from the elements in winter. 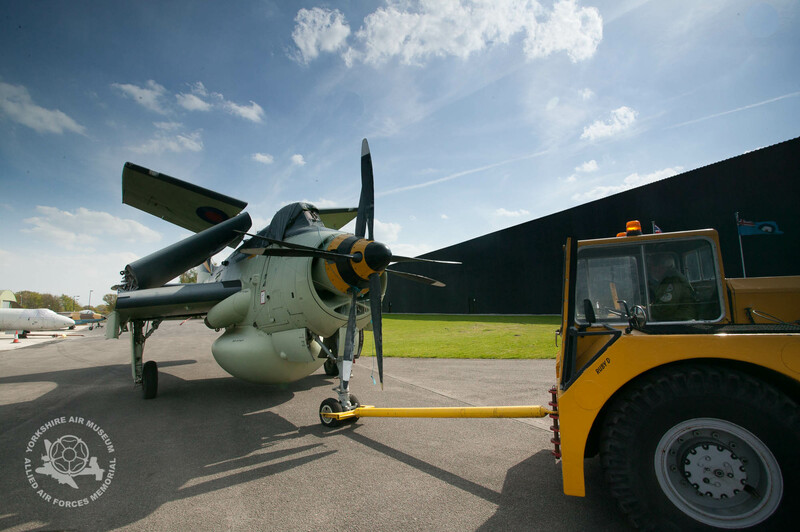 While a handful of our aircraft exhibits are capable of moving under their own power, most of them need to be moved with the assistance of one of our aircraft tugs. Our Cold War Jets in particular are quite heavy machines, the Nimrod tipping the scales at over 39,000kg. These tugs are an essential part of the Museum and as well as being exhibits in thier own right, also play a vital part in providing the power to move these large aircraft around. Our recent Dakota taxiing exercise meant that our volunteer engineers had to undertake some aircraft moves to make room for the Dakota to pass the huge Victor XL231. And that’s not as easy a task as you might imagine. We thought we’d share these pictures with you to show some of the aircraft moves that took place just to enable us to make the Dakota taxiing happen.